You have just bought a new Apple Mac computer and are going all zonked up for it. But you have a problem. One of your friends has sent his recent holiday pictures on your mail and you are not able to open and view them. This problem has arisen because the snaps have been sent in the .rar format. Now, you would be wondering what is this .rar format and what has it got to do with opening up files on your Mac computer. .Rar is a file format that is used for compressing computer files and shrinking them into a smaller size. If you are aware of ZIP files, then you must have understood what RAR files are. Compared to the conventional ZIP format, RAR files are more effective and you can identify them by their extensions, such as .rar, .r01, .r02, and so on. To open up these files in your Mac, you require special decompression software. Find out how you can open .rar files and view them conveniently on your Apple Mac computer. You can find different softwares available in the market for decompressing .rar files which you can either purchase or download from the internet. 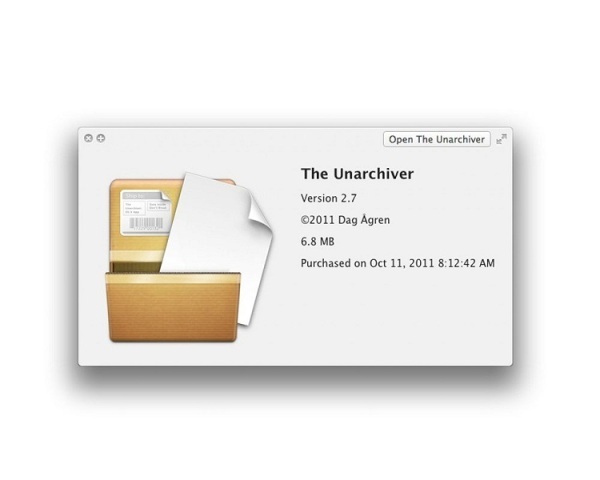 You can opt from iArchiver, Stuffit Expander, UnRarX, RAR Expander, and several others. Install the decompressing software on your Mac computer following the step-by-step procedure as illustrated. After completing the installation procedure, open the interface of the software. Scroll through the menus and locate the RAR file you want to extract. Alternatively, you can drag and drop the RAR files into the software’s interface to get extracted. Scan the files to be extracted using your computer’s antivirus software. If you miss out on this step, you are likely to contaminate your system with unknown virus bodies. Thus, scan to avoid any kind of risk. Click on the ‘Extract’ tab to start the decompression process and wait till the files are getting extracted. Depending upon the number of files and speed of extraction, your data will be stored in the destination folder which you can select from the options given. After the files have been extracted, you will see a pop-up saying “OK”. Go to the finder option and you’ll see a new folder has been created containing all the .rar files so extracted. At times, there are larger files that you need to open. These are stored separately in different RAR files called volumes under the main RAR file. You can identify them from their file extensions, such as .rar01 and .rar02. This means that the main file is multi-volumed. As such, you cannot open the main file if the separate files are not available in the main file. Repeat the process every time you want to extract .rar files from internet onto your Mac computer. Adhere to the above steps and you would soon learn how to open .rar files on your Mac computer. Get going!